Our “Global Offices” blog series features a Q&A each month with one of Exponential’s offices across the globe. For the month of November, get to know Exponential’s Dubai team as they reveals some of the city’s most unique sights, tastes and attractions. The Dubai office opened in 2009 as a sales office that functioned as the main hub for Exponential in the MENA (Middle East & North Africa) region. We started with a small cubicle, as initially we just had one person. Within a year, we expanded the team and moved to a bigger location in the Media City area where all major agencies and tech companies are located. We had a presence in other Middle Eastern countries, but now operate exclusively from the Dubai office, managing the business across all countries in the MENA region. The Exponential office in Dubai is a small setup. Currently, we are a team of five people mainly representing the sales division in various roles, namely Business Executive, Business Manager and Business Director. Amer Attyeh is the Managing Director for the region. We also have a Client Services Manager located in the Dubai office to support us. As we are a small team, we are more focused and motivated to grow the business. The most common word that you would hear in the office is “busy”. Q: Why do clients love working with the Dubai office? Because of the people! Our team is full of enthusiastic people who love mingling; we share a very good relationship with our clients and agencies. Apart from establishing great connections, we also act as a consultant to most of our clients and agencies and give our own personal recommendations to support their activities, which they appreciate. And to top it off, we have a best-in-class support team which provides excellent solutions to clients, great customer service, and superior campaign performance. All of this adds up to a productive working relationship with our fabulous clients and they can’t stop asking for more! Dubai is place where you will find people of more than 200 nationalities. More than 80% of the Dubai population consists of expats from various parts of the world. Even though we all come from different parts of the world, we share a very strong bond among each other. As a team, we go out on lunches and evening excursions together. Inside the office we usually try to mix work with fun. We believe it’s important to keep the mood of the office light, keep the positive energy flowing and make it pleasurable spending time in the office. A few facts about Dubai! Dubai houses the Burj Khalifa which is the tallest building of the world. It is three times the height of the Eiffel tower. This astonishing building can be seen 100 kilometers away from the building. Additionally, from the height of this building you can see the curve of the earth. Burj Khalifa ultimately became the symbol of Dubai and has been for many years now. 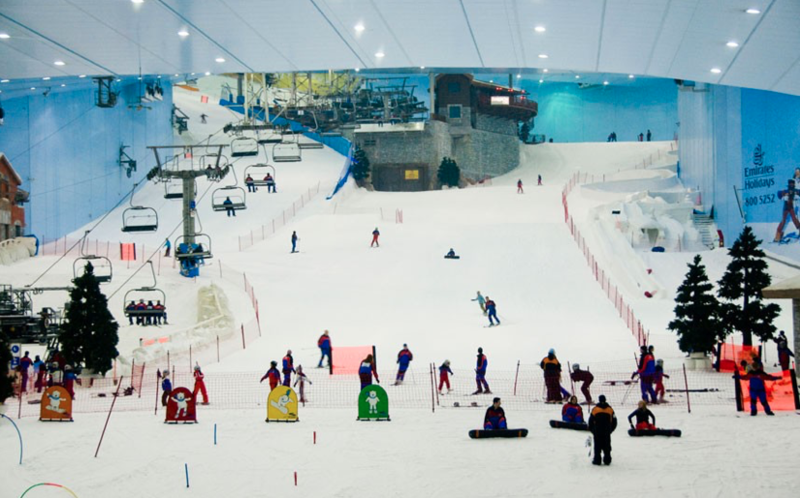 Dubai is also home to the world’s largest mall, largest water fountain, and grandest indoor snow facility — you can ski, snowboard, snow tube, bobsled, pet penguins, and more at the Ski Dubai resort in the Mall of the Emirates. 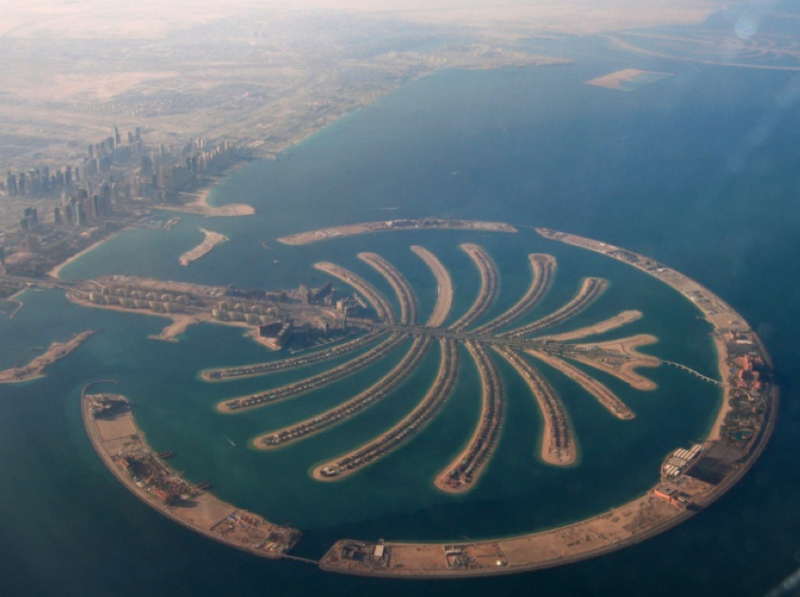 And speaking of construction, Dubai is also known for the Palm Islands, the world’s largest man-made island, built on The Persian Gulf. Something else to know is that because they strive to be the best at what they do, many restaurants in Dubai fly in ingredients to ensure that they are serving people the best — especially when it comes to seafood and meat! 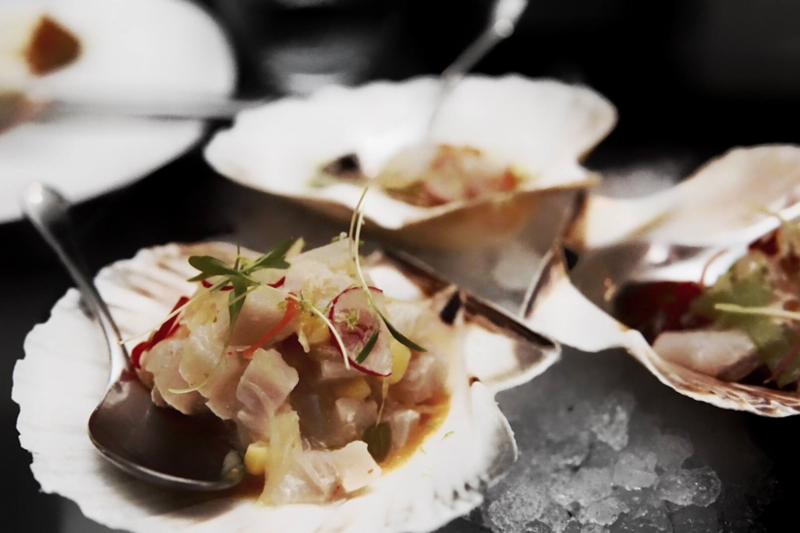 If you see ceviche on a menu, you would be making a mistake to not order it. Did you know that camel racing is a traditional sport in the UAE? With the winning camel being able to take home $3 million, it is no surprise that the Dubai Camel Racing Festival is one of the most talked about days of the year. As technology advances, Dubai has also started to replace human jockeys with robot jockeys (as shown in the photo below). The robots even have small hinged arms that can move to control the reins! 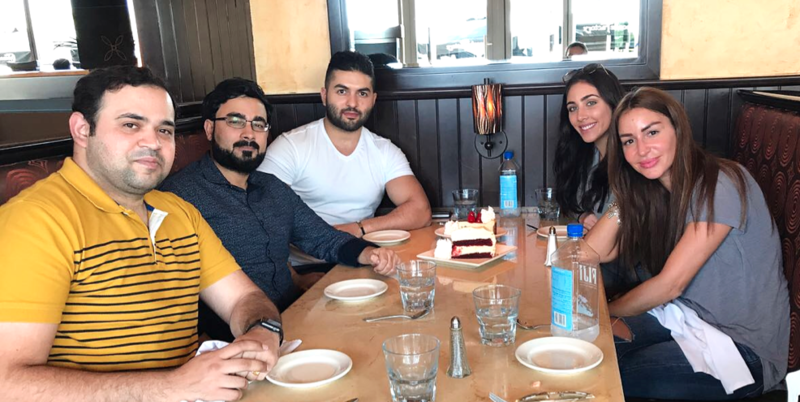 Many thanks to our Dubai team!